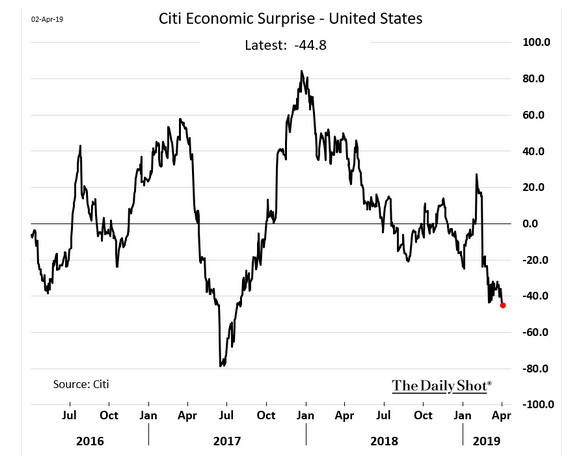 Today's blog post begins with the Citigroup Economic Surprise Index. 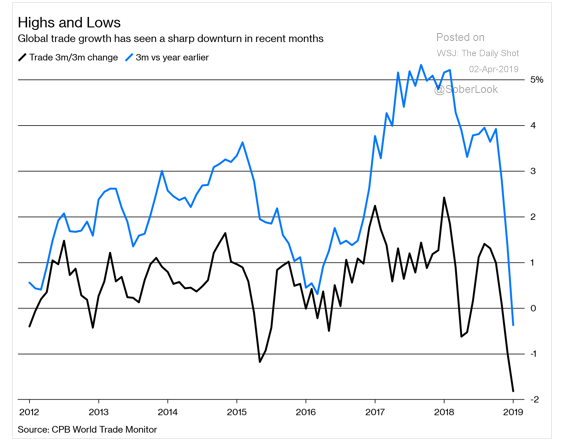 While the index has little bearing on equity prices, it does portray more negative economic sentiment in the U.S. 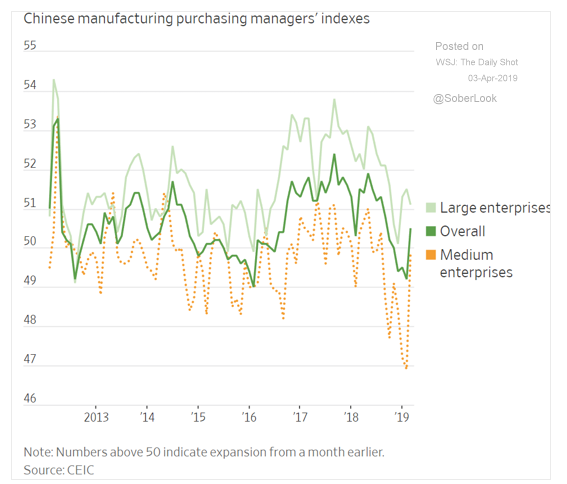 Meanwhile, has China turned a corner? 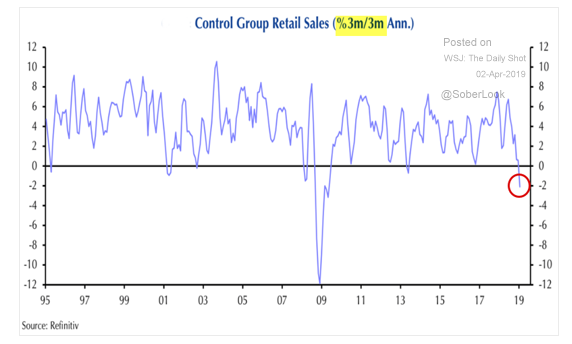 Retail sales in the U.S. are down sharply over a three-month period. 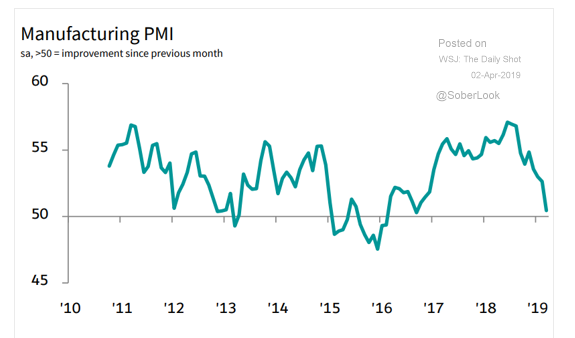 The global manufacturing PMI has been falling for quite some time – today we take a look at Canada, Germany, and Mexico. Earnings per share (EPS) expectations for South Korean companies have plummeted. Lastly, don’t forget that April is Financial Literacy Month! Read our first post of the month at the end of this blog. 2. 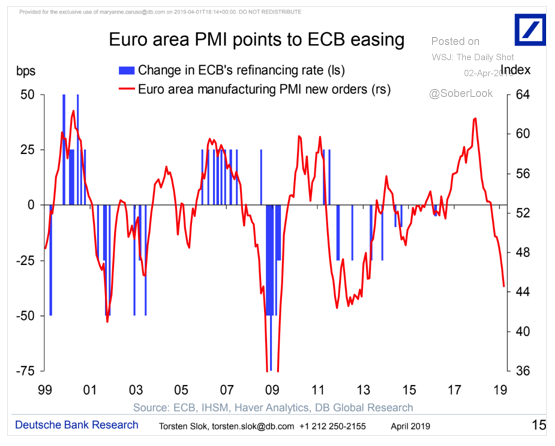 While one month does not make a trend (or in this case break one), it was nice to see a positive economic surprise! 3. Has China turned a corner? 6. 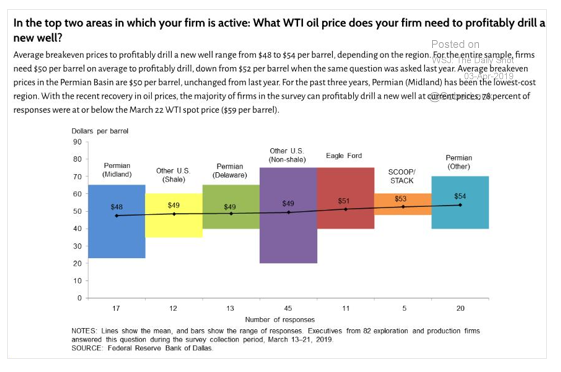 An update to U.S. shale oil/gas production...the breakeven prices for new wells has fallen to around $50/barrel. 7. 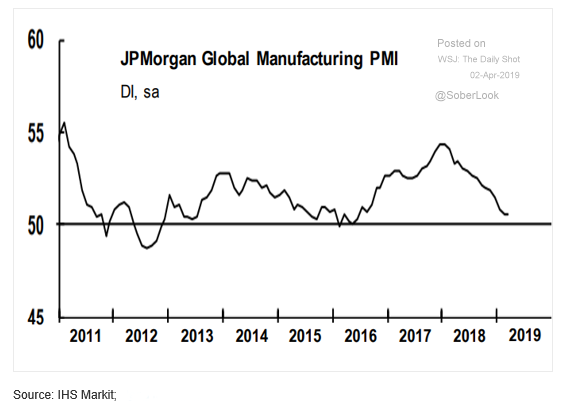 Global PMI was flat last month. A bottom? A pause? 8. 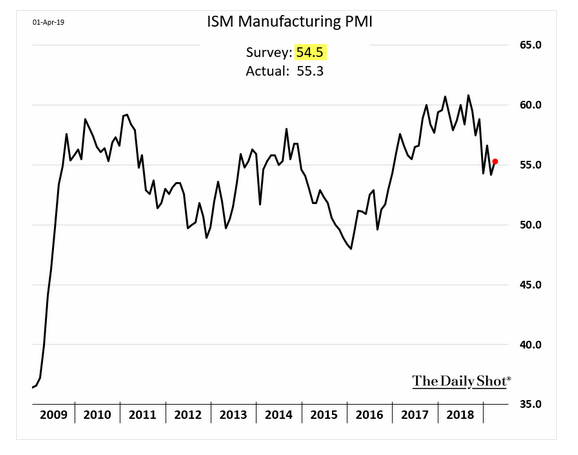 The Canadian manufacturing slowdown continues. 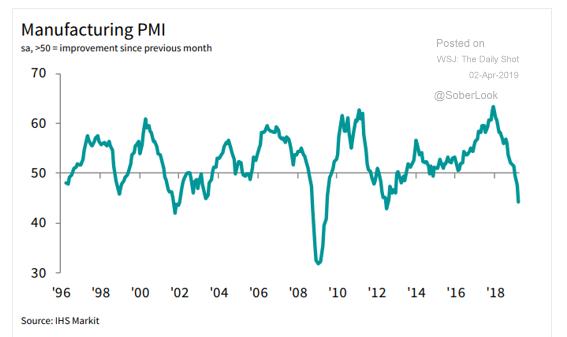 German manufacturing slipped deeper into the contraction (less than 50). 9. Mexico's manufacturing economy is like Canada's. Is the U.S. economy on an island? 12. 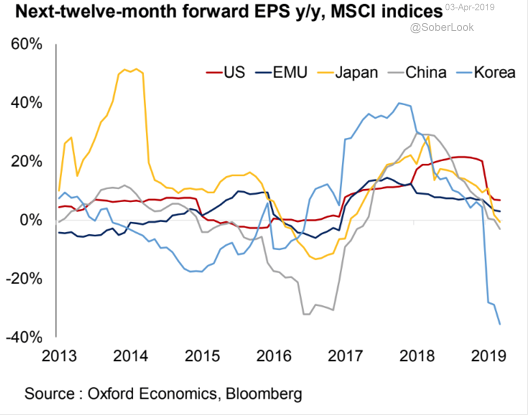 Global earnings expectations have been declining from healthy ranges to mid-low single digits. Japan, Europe and Korea are negative. 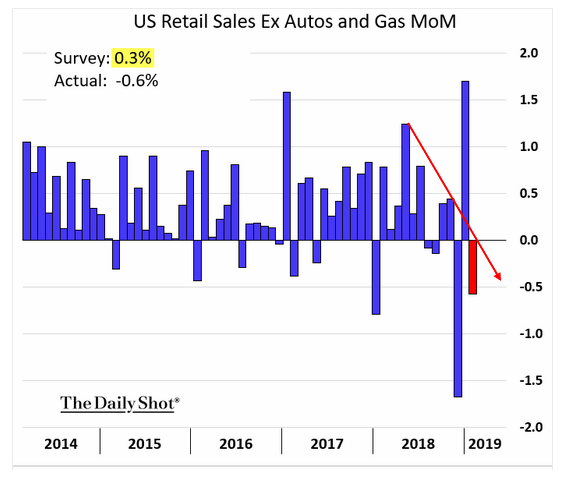 This is part of the disconnect... Lower future earnings expectations should bring lower stock prices. April showers bring... financial literacy? In honor of April being Financial Literacy Month, we are publishing macroeconomic, investing, and personal finance content suited for readers of all financial knowledge levels. Read our first piece of the month, an expanded version of one of our most popular Financial Literacy posts over the years, our Glossary of Financial Terms. This year's version contains some of the most relevant terms, buzzwords, and concepts of 2019 that you (or your clients) need to know!